Bush pledged not to raise taxes no matter how much his Democratic Congress demanded it. Just two years later he reluctantly agreed to a budget deal that raised gas taxes and the top income tax rate. His approval rating and overall image never recovered. President Obama made a similarly strong and explicit pledge, but on a much more vital issue. Beginning in August 2013, as hawks were begging for the US to intervene in the Syrian civil war, Obama said that there would be no “boots on the ground” there. 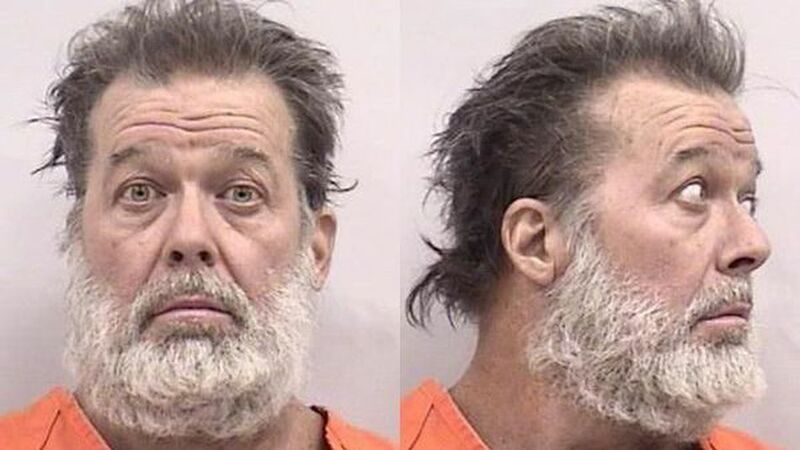 On Saturday someone (see the person responsible above) shot up a Planned Parenthood clinic. As is typical of the proto-fascist left when one of their holy sanctuaries is targeted, the condemnation of free speech was immediate. The Washington Post claims the “link” between “antiabortion rhetoric” is being “dismiss[ed]”. Probably because there is none. But you could (but shouldn’t) make the exact same statement about anti-cop rhetoric in light of recent (though dramatically declining) killings of law enforcement officers. Like most political junkies, I’ve been watching polling data in the presidential campaign like a hawk for a year or more. As Donald Trump and Ben Carson took the lead this summer, my enjoyment of the process began to erode. The one thing keeping me from utter despair is the Washington Post’s Twitter account @PastFrontrunner. It posts every day where polls measured the national and state presidential primary campaigns in 2004, 2008, and 2012. As the saying goes, it’s still early, and that kind of data can put into perspective just how early it is. But we’re just over 2 months away from Iowa and New Hampshire voting, and things haven’t changed much. However, on the national polls, @PastFrontrunner suggests they’re still way off. Trump currently leads the RealClearPolitics average, Carson is within the margin of error to tie, and Rubio and Cruz are coming up the rear. So where were we in past cycles nationally? As of this writing, nine fourteen twenty 27 state governors have issued executive orders or unilaterally proclaimed that their state will no longer accept refugees fleeing the Syrian civil war and Daesh terrorism there. Nevermind that states don’t really have a say in the matter, since accepting refugees is an immigration and foreign policy power exclusively granted to the federal government. The sudden protectionism in the wake of the coordinated attacks on fun in Paris isn’t surprising, but it is exactly the wrong response. As a timely post at the libertarian Niskanen Center makes crystal clear, there are several good reasons that the US should continue accepting refugees and not abandon desperate, hopeless people because of fear. Everything on the internet is a lie, especially anything you hear about a “movement” or “boycott” or “outrage”. This is one of those. On November 5, Josh Feuerstein, an Arizona preacher, Facebook vertical video ranter, and Fred Durst-style backwards cap-wearer, basically a Christian version of Howard Stern, posted a 1-minute 18-second video about a red-hued mass-produced beverage receptible. You see, he went to Starbucks to get his morning cup of coffee and was handed a simple red cup. He immediately felt triggered by this holiday-colored but not holiday-decorated design, so he retreated to his safe space of portrait-oriented internet video and expressed this offense to the world. And horrifically, the world listened. As of this writing Feuerstein’s video has 12,247,900 views, 153,895 likes, 447,838 shares, and 36,094 comments. Normally I don’t recommend reading comments on internet posts, but in this case it’s illuminating. The first three comments on Feuerstein’s post are from Feuerstein himself. First, he urges his viewers to use a specific hashtag when discussing the issue on social media. That helps people discussing it connect to each other and helps the topic trend if enough people use it. The second comment is Feuerstein linking to his own blog post at theradicals.com about the topic. That gets people to his own advertising-supported website, putting money in his pocket with each hysterical pearl-clutching click. The third comment is Feuerstein tagging at least thirteen other mostly Christian conservative outrage-mongers like Glenn Beck, Rush Limbaugh, and Breitbart in an effort to get their social media managers to talk about the post and link to his website (*click*click*ka-ching*ka-ching*). The news out of the Perpetual War on Terror is pretty grim these days. The US military knowingly but “accidentally” bombed a hospital in Afghanistan, killing 22 doctors and patients. Just days later, the president decided not to draw down troops in the country as previously planned, but will instead keep nearly 6,000 of our sons and daughters in the country until at least 2017 when his term ends. At the same time, the inner workings of the president’s drone war, including questionable intel, lax target timeframes, and horrifying collateral damage ratios, have been brought to light by a whistleblower. But you’d be forgiven for not noticing any of this. While it has been reported in the news media, there has been almost no secondary public reaction. I think that’s entirely because of one factor: Barack Obama won the last election, not Mitt Romney. If Romney had been elected in 2012 and in the year before his reelection campaign had bombed a hospital, decided to keep troops in Afghanistan, and had details of his robot assassin program leaked, things would probably look a little different today. Democrats have been complaining for years that Republicans have moved so far right that they’re not compatible with American democracy anymore. Republicans were fine before, they say, but not anymore! Weak-kneed Republicans who lose primary elections then decide to become media stars by switching to Independents (and eventually Democrats) and claiming “I didn’t leave the party, the party left me”. But no one ever asks how far the Democrats have moved left. In their first primary debate of the 2016 contest Tuesday night, we may finally have gotten the answer. They’re all Democratic Socialists now, and proud of it (with the possible exception of Jim Webb). Something has happened this morning that we have not seen in a long age - conservatives and liberals are united. No, they’re not all celebrating Pope Francis’ message of unity and equality, though there’s some of that, and the papal visit is related. No, what has brought both sides together is the announcement that Speaker John Boehner will resign both his leadership position and House seat at the end of this October. 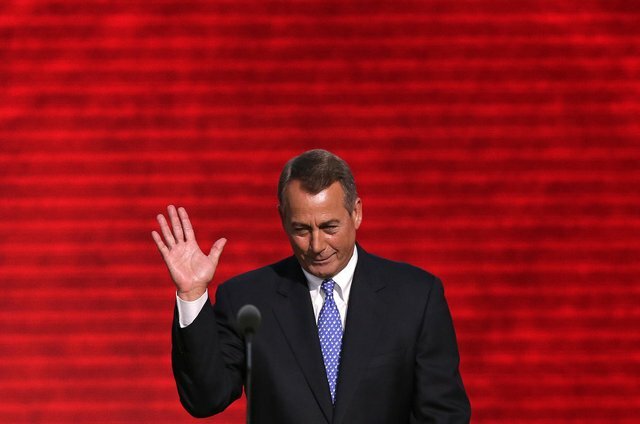 Apparently speaking to the Pope yesterday moved Boehner so much that he has decided to step down. And who can blame him? Since his ascendancy after Republicans took back the House in 2010, there have been constant calls for his replacement. He’s been called a RINO, a sell-out, a stand-in for the real Speaker, Nancy Pelosi, and worse. Conservatives never supported him strongly enough (though most kept reelecting him to the position), and Democrats opposed him on nearly everything. Boehner was also constantly mocked for his emotional rawness. But again, who can blame him? He’s in awe of his country, his government, despite its flaws, and his position within it. I well up every time I hear the Star-Spangled Banner at a sporting event. I can’t imagine being elected to a government position by your fellow citizens and feeling the overwhelming responsibility and trust that entails. married, father of two, atheist, libertarian, introvert.